"In the Confucian tradition it is said that the mark of a golden era is that children are the most important members of the society and teaching is the most revered profession. 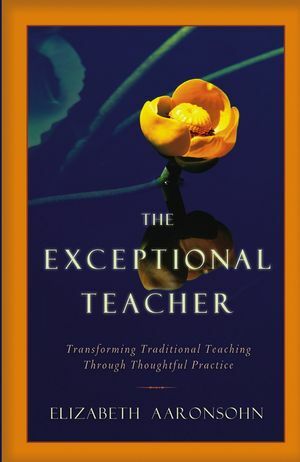 Our jour ney to that ideal may be a long one, but it is books like this that will sustain us - for who are we all at our best save teachers, and who matters more to us than the children?" Those of us who care about the young and their education must find ways to remember what teaching and learning are really about. We must find ways to keep our hearts alive as we serve our students. Poetry has the power to keep us vital and focused on what really matters in life and in schooling. 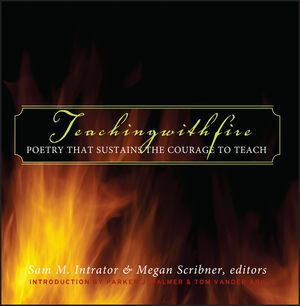 Teaching with Fire is a wonderful collection of eighty-eight poems from such well-loved poets as Walt Whitman, Langston Hughes, Billy Collins, Emily Dickinson, and Pablo Neruda. Each of these evocative poems is accompanied by a brief story from a teacher explaining the significance of the poem in his or her life's work. This beautiful book also includes an essay that describes how poetry can be used to grow both personally and professionally. Teaching With Fire was written in partnership with the Center for Teacher Formation and the Bill & Melinda Gates Foundation. Royalties from this book will be used to fund scholarship opportunities for teachers to grow and learn. 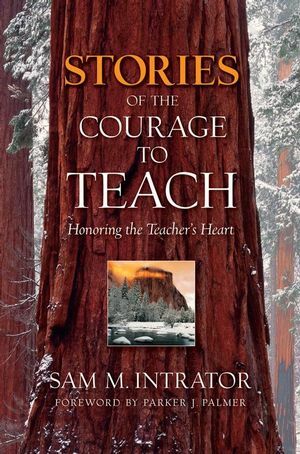 Sam M. Intrator is assistant professor of education and child study at Smith College. He is a former high school teacher and administrator and the son of two public school teachers. He is the editor of Stories of the Courage to Teach and author of Tuned In and Fired Up: How Teaching Can Inspire Real Learning in the Classroom. Megan Scribner is a freelance writer, editor, and program evaluator who has conducted research on what sustains and empowers the lives of teachers. She is the mother of two children and PTA president of their elementary school in Takoma Park, Maryland. The Center for Teacher Formation Discover more resources for educators and leaders of all kinds at the Center for Courage & Renewal (formerly the Center for Teacher Formation). Royalties from Teaching with Fire help more people become a force for positive change in the world, as well as in the lives of the people they serve.